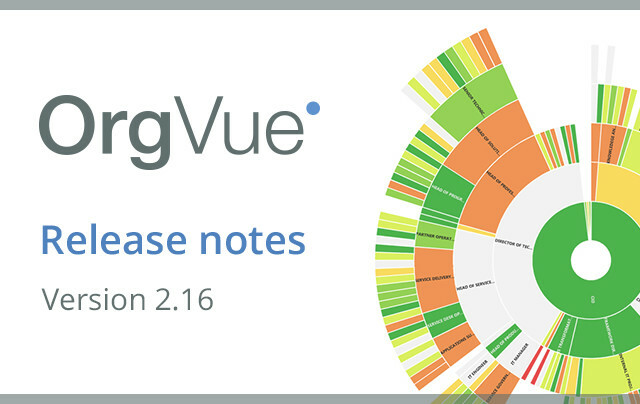 OrgVue 2.16 is now live! 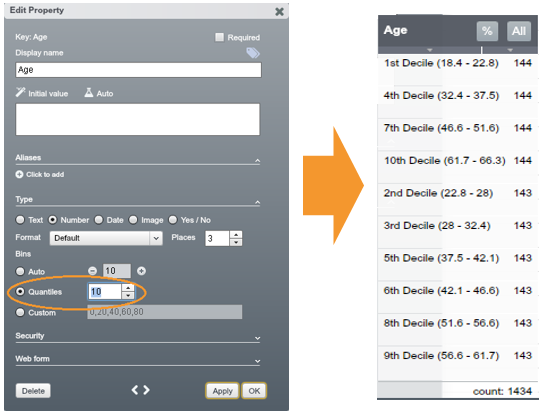 This blog outlines all the new features of this new release having upgraded from version 2.14. We hope you enjoy them as much as we do! 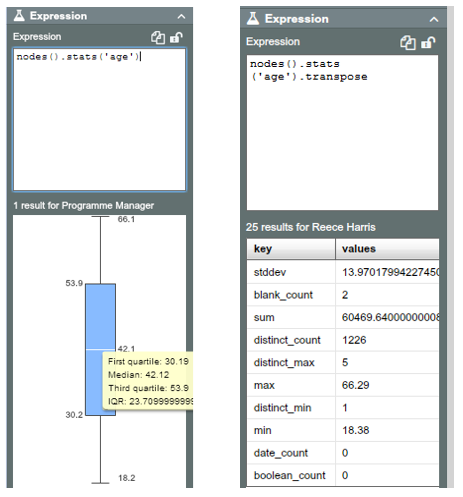 Calculate linear regressions in your dataset by using the expression; nodes().regression(x,y). 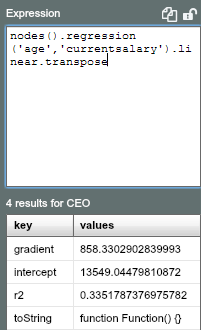 For example, nodes().regression(‘age’,’currentsalary’). 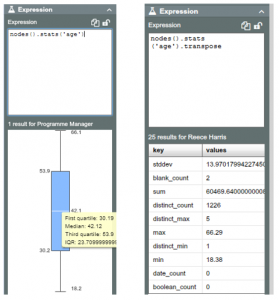 To get the breakdown statistics of your linear regression use the expression; nodes().regression(x,y).linear.transpose. 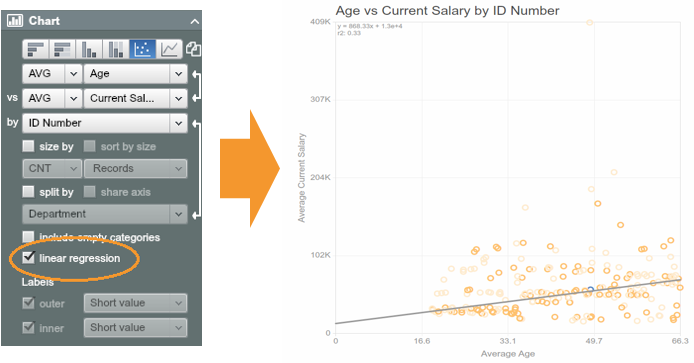 For example, nodes().regression(‘age’,’currentsalary’).linear.transpose.